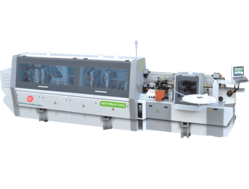 NEWTON-NT300 merges numerous functions on one machine, including feeding, gluing, snipping, end trimming, rough trimming, fine trimming, scraping, buffing, edge banding can be executed on one machine. 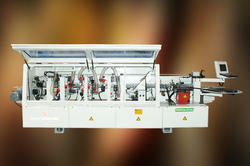 Ø Simplified operation interface for operating machine in shortest time. Ø Professional safety protection device is domestic initiative. 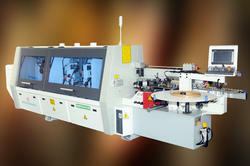 We offer NEWTON-NT300 Edge Banding Machine. with 5kg of teflan coated glue pot and separate VFD for all motors with three diffent speeds 12m/s ,18m/s, 24m/s and can run continues for more than 12 hours , which can help u for more production.